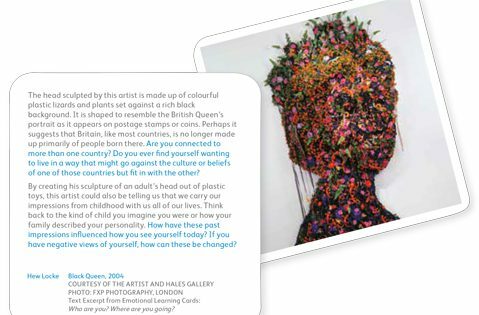 Our Emotional Learning cards are part of the Frieze Young Peoples’ Programme led by artist-educator Katriona Beales. Find excerpts of our cards within the Frieze booklet and buy the cards at the Frieze Tours Desk outside the Frieze auditorium. Find out more about our Emotional Learning Cards via the Iniva Creative Learning website.